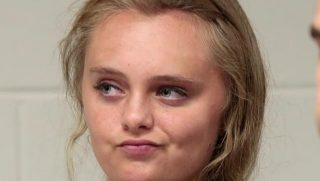 Today a judge found Michelle Carter guilty of manslaughter in the death by suicide of her ex-boyfriend. She had multiple text messages that supported the courts claim that she should have known better and should have intervened or at last not gotten involved with the active role of encouraging Mr. Roy to take his life. There is no denying the tragedy of this case nor the serious implications associated with the spoken word and the influences it can have. The court’s inferences will now be judged as worthy or not as Miss Carter and her team appeal this ruling. Who is responsible for the actions of another? Influences aside for the moment, who is ultimately responsible for the death of Mr. Roy? When influences are factored in how far back or with whom do we blame for the lack of positive efforts that eventually led to the act in question? The line of influence of someone screaming fire in a crowded theater may have some context here but only if that person screamed with malicious intent. A fearful patron noticing the same fire can scream and probably should scream “FIRE” as a warning to others to leave the building. The malicious intent of the perpetrator was to cause panic. The patron’s motivation was fear, not malicious or malevolent. The interesting aspect of the differences between the patron and the perpetrator is wholly within the motivations of the individual. The results may be similar and similarly tragic but for one there is no blame while in the other there is all the blame. The question of Miss Carter culpability can be seen as cruel, uncaring and motivating toward the exact end that she was voicing to her boyfriend just before he decided to take his life. The issue perhaps not discussed was in relation to an unknown outcome and the personal responsibility of an individual to act for his or her best interest, regardless of the motivating factors that are externally placed. This is not even a question of mental readiness or stability for it is abundantly clear that both were unstable. This is a question of personal responsibility, who is ultimately responsible for our lives, our choices and the consequences of those actions. When a slope is slippery the chances of slipping are higher than when the foundation is firm and stable. Ruling to convict Miss Carter for manslaughter, regardless of how mean she was or how manipulative she turned out to be creates a slope of intense sliminess, slipping is inevitable. I am in no way condoning her seemingly abysmal actions but like a prospective jumper atop a building, the crowd below is screaming and encouraging him or her (we must provide an equal opportunity for all here) to jump. When he does jump, who is to blame? Perhaps it was one voice, maybe it was many voices but the blame is his and his alone. He jumped, he fell, he died. There is plenty of culpability to go around, and the crowd may have prompted him to jump but that fateful decision is his and his alone to make. Of course there are mental issues involved and of course we should all be more sensitive to those around us, and yes, we live in a society that does neither but the definition of responsibility has been rewritten through the allocation of continuous praise for all children, ribbons for all who participate and even those who do not. It’s OK to be wrong they say, it’s OK to be last, no one should have to suffer the indignation of failure in any degree or circumstance, and no one should have to hear, listen too or speak to those who designate success with the innate worth of a person based on achievement. Therein lies the issue and the obvious reasons for the state we’re in. Our entitled society is on the brink of total implosion. When a judge is unable to distinguish between bad character and malicious intent and decides to convict based on how an individual should have acted we leave the realm of justice and morph into some science fiction, thought based scenario that convicts on feelings rather than actions. Remember the movie Minority Report? Just to be clear, Michelle Carter acted like a spoiled and rotten child, totally oblivions to the possible consequences that could occur. She used words and phrases to put an obviously mentally unstable young man over the brink to commit to performing his own death, and that is the key, it was his own decision, his hands moved, his legs decided, his brain was motivated to end his life. Her words were obviously a large part of his decision but in the end, it was his decision, not hers, his actions, not hers that took his life.